Drivers across Detroit and the rest of Michigan are finding the lowest prices at the pump since April. 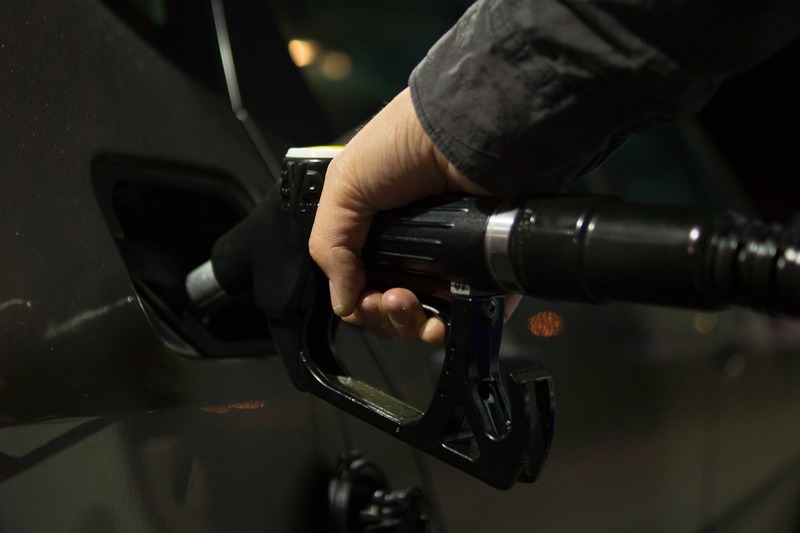 According to a survey conducted by AAA of Michigan, the state average price for a gallon of regular unleaded is $2.72, which is 39 cents less than this year's high and the same as this time last year. The AAA of Michigan survey also showed that gas prices continued their downward trek last week, declining another 9 cents. The state average declined for the 10th consecutive day on Sunday, for a total discount of 12 cents. The most expensive gas price averages were found in Marquette at $2.89, Ann Arbor at $2.81, and Metro Detroit at $2.76. In contrast, the least expensive gas price averages were in the Grand Rapids-Muskegon-Holland area at $2.65, Benton Harbor at $2.66, and Jackson at $2.66. "Michiganders are saving 40 cents per gallon, compared to when gas prices peaked during Memorial Day weekend," explained Nancy Cain, spokesperson, AAA - The Auto Club Group. "Gasoline is becoming less expensive to produce-and-sell thanks to lower crude prices and cheaper-to-produce winter blend fuel. Retail prices have not quite caught up with declines on the wholesale side, so motorists should see another round of discounts this week. However, fuel prices definitely have the potential to reverse course based on any fluctuations in the stock market due to Election Day and the activation of U.S. sanctions against Iranian crude. Regardless, AAA believes the highest prices of the year are behind us." Why are Crude Prices Falling? Crude oil prices are hovering near 7-month lows. On Friday, WTI settled at $63.14 per barrel - nearly $4.50/b less than the week before, and the lowest daily settlement since April 6, 2018. The weekly average price for U.S. crude has declined the past four consecutive weeks. Before then, crude prices faced upward pressure amid growing concerns that U.S. sanctions against Iranian crude would cause a global supply shortage. However, those concerns are being quelled by increased production by countries like the U.S., Saudi Arabia, and Russia. Crude production in the U.S., Saudi Arabia, and Russia all remain strong. U.S. oil inventories rose for the sixth consecutive week, according to weekly data from the Energy Information Administration. Domestic supplies rose 3.2 million barrels from the week before. Meanwhile, gasoline inventories dropped by 3.2 million barrels. Meanwhile, OPEC production levels for October reportedly reached the highest output levels since 2016 as some members boosted production in preparation of the Iran sanctions. Friday, the Trump Administration announced the U.S. would re-impose sanctions on Iran that were lifted in 2015 under the Obama Administration. The sanctions, which will go into effect on November 5, 2018, target the Iranian energy sector and impede Iran’s ability to sell oil. According to the Energy Information Administration, Iran ranks as the world’s fourth-largest reserve holder of oil. Iran also ranks among the world’s top 10 oil producers, producing almost 4.7 million b/d of petroleum and other liquids in 2017. While Iran is an oil powerhouse, Saudi Arabia (9%) and Iraq (6%) are the top two OPEC countries exporting to the U.S. and two of the top five countries overall that sell oil to the U.S. In May, when the decision to re-impose oil-related sanctions was announced, the market reacted quickly with crude oil prices peaking at $77 per barrel this summer. As the crude market saw big upward price swings due to concerns about restricted global supply, Iran started to feel the impact on oil exports. According to the Trump Administration, Iran went from exporting 2.5 million barrels per day in May to 1.5 million barrels per day in October and over twenty countries have reduced their imports of Iranian oil to zero. Exports are expected to drop further, but not immediately. Bloomberg reports that the U.S. has granted temporary waivers to eight countries - including Japan, India and South Korea - allowing them to continue to import Iranian oil. Those receiving the waiver are expected to continue cutting imports.